A business professor says a "personal relationship" with a Silicon Valley venture capitalist is the only reason a California private Catholic high school managed to reap a $24 million windfall from an initial public offering of shares in Snap Inc.
Stephen Andriole, a professor of business, accountancy and information systems at the Villanova School of Business in Pennsylvania, says it's unlikely the story could have happened anywhere but Silicon Valley. That's where a well-connected parent convinced a private school to buy $15,000 in shares in an interesting startup kids use to snap and send photos that disappear a few seconds after recipients look. That parent, Barry Eggers, is a partner at Lightspeed Venture partners, the VC firm that invested in Snapchat in 2012 when the company was just getting started. He is also the head of the Saint Francis High School investment fund. 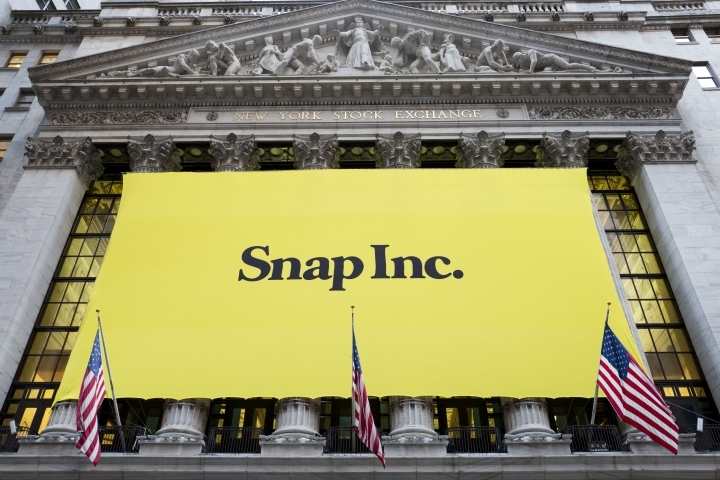 The venture capitalist who helped a California private Catholic high school earn millions from an initial public offering of shares in Snap Inc. learned about the popular app from his Snapchat-using teen daughter. The app allows users to snap and send photos that disappear in a few seconds after the recipient looks at them. Barry Eggers of the capital venture firm Lightspeed Venture Partners is also the head of the Saint Francis High School growth fund. The board at Saint Francis high school in Mountain View agreed to invest $15,000 in seed money in Snap Inc. in 2012, when the company was just getting started. The school held onto most of its investment until this week, when Snap shares sold for $17 each in an IPO. St. Francis sold 1.4 million shares at that price generating a gain of about $24 million. A private Catholic high school in California's Silicon Valley that made $24 million from an initial public offering of shares in Snap Inc. will use the windfall for financial aid, professional development, teacher training and funding of school programs. St. Francis High School President Simon Chiu says none of the money will be used for teachers' salaries or other labor costs. The board of the high school in Mountain View agreed to invest $15,000 in seed money in Snap in 2012. That' when the company was just getting started. Chiu says board members had been invited to do so by one of the student's parents, a venture capital investor. The school held onto the investment until this week, when Snap shares sold for $17 each in an IPO. The share price rocketed another 44 percent higher when trading began Thursday. Chiu says none of the school's nearly 1,800 students were involved in the investment venture. They had been invited to do so by one of the student's parents, a venture capital investor, the high school president says in a letter issued to the school community Thursday. "The school's investment in Snap — which this morning announced the completion of its IPO — has matured and given us a significant boost," said the high school president, Simon Chiu, in the letter.